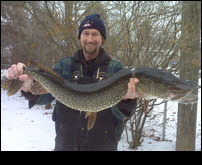 Gerry Maciok with a 40 inch 15lber. Speared January 2010. Nice Fish!! !